Most people know Björn Ulveus and Benny Andersson as the two B's in ABBA. What not many people know is that the two Swedes have a long record of musicals behind them. In '84 they teamed up with Tim Rice and created the political musical - Chess, starring some well-known performers such as Murray Head, Björn Skifs, Elaine Paige and Tommy Körberg. When you think about it; it doesn't seem to be a very exciting musical. I mean; chess ?!? (Further explanation superfluous.) However, the story is not only exciting, its music is excellent. Strangly enough, there were no big hits on this two-disc release, except one song - probably the worst song off the entire album "One Night In Bangkok". That song reminds me of funny haircuts and Miami Vice. Even if you tried, I think it would be impossible to create a sound much more 80's than "One Night In Bangkok". Extremely dated. Since the rest of the album has a timeless production, this song just doesn't fit in. 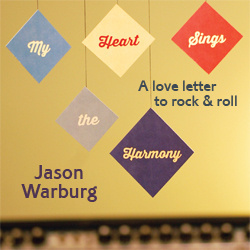 What I enjoy the most with this recording is its mixture of classic musical songs and rock. "The Deal" is downright excellent, the vocals are done superbly by Murray Head and Tommy Körberg. It is followed by another highlight "Pity the child". Once again it is Murray Head, "the evil American", who does the lead vocals, and with all the emotion he puts into this song - you can't do anything but to feel sorry for him... even though he's a bad, bad boy. "Anthem" closes the first of the two discs, and this has to be one of the best musical songs ever written. A beautiful and powerful song sung perfectly by Tommy Körberg. At the moment, Tommy has a role in the Swedish version of Chess at Cirkus in Stockholm, were he is playing the same character as he does in the original version; Antholy, the Russian. With all the great songs and great voices plus the London Symphony Orchestra, it just can't go wrong. And it doesn't. Chess is one of the better musicals I've heard, and deserves a lot more attention than it gets. Playing chess is quite boring. This is fun. © 2002 Tommy Johnson and The Daily Vault. All rights reserved. Review or any portion may not be reproduced without written permission. Cover art is the intellectual property of RCA Records, and is used for informational purposes only.